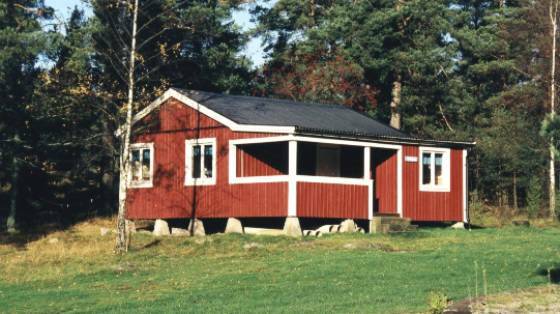 Skärgårdsbyn S:t Anna Mon is in the St. Anna archipelago in Östergötland. 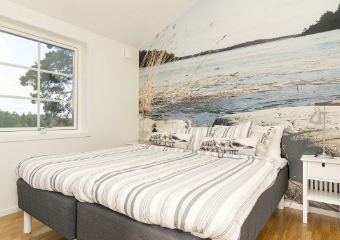 The area is on the idyllic north side of Finnö, with extensive fishing waters and hundreds of islands and beautiful rocky islets, making Mon into a real paradise! Mon is equally suitable for day-trips and longer stays. 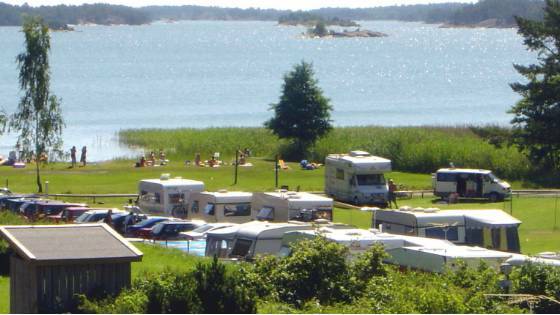 The facilities consist of a campsite with some 60 spaces, a holiday village with approximately 80 beds. 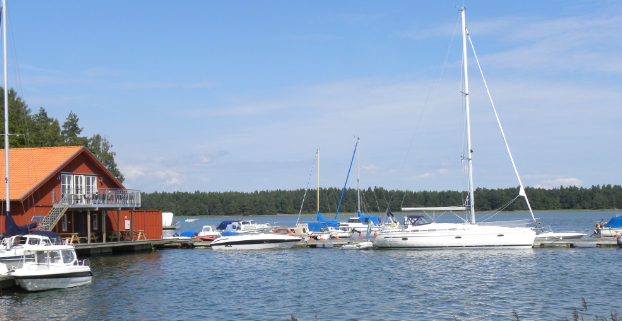 There is a marina for boat-owners with 90 seasonal spaces and a small guest harbour. In our reception building you will find a restaurant and pub. The building also hosts conferences with up to 40 people, all year round. In Mon open-air recreation area you can hire rowing boats, play miniature golf, go swimming, play boules and football etc. In short: We look forward to seeing you here for a great and relaxing time! 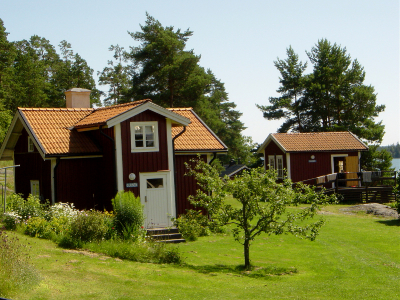 All the cottages in Skärgårdsbyn have year-round standard, with views and patio facing the sea. 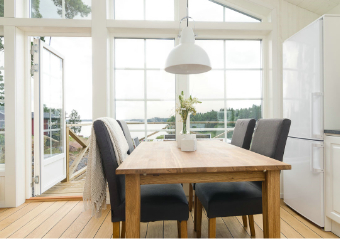 The cottages are fully decorated with furniture, household utensils and what we call a nice hotel standard interior décor. 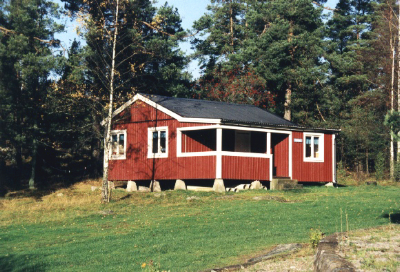 The cottages in Skärgårdsbyn are 47 sq m large, with 2 rooms and kitchen, 4+2 beds. The cottages are suitable for guests who wish to enjoy space for up to 6 people, with the sofa bed in the living room making up 2 of the beds. 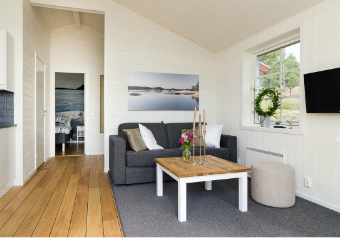 The cottages are located on an elevation and enjoy views of Hålfjärden in the heart of the beautiful St. Anna archipelago. 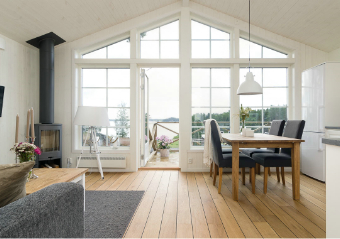 All cottages have a window-clad gable and patio with sea view. 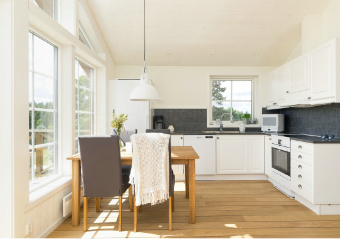 The kitchen is fully equipped with stove, oven, micro, fridge, freezer and dishwasher, as well as china and utensils for all the guests in the cottage. 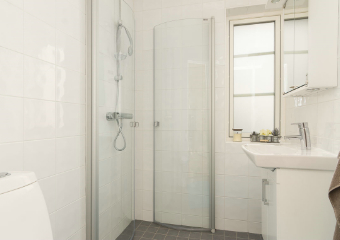 WC and shower with under-floor heating. There is no smoking in this cottage, but we do welcome pets. 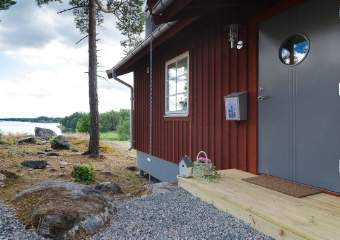 In addition to the standard equipment some cottages also come with wood-burning stove, AC and washing machine. 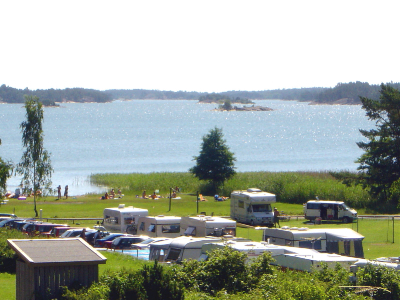 Mon is a family campsite consisting of 60 pitches with electricity. 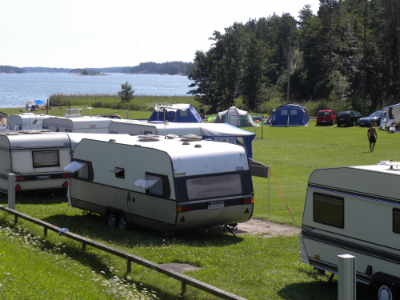 Mons Camping is open year-round, but with limited service during the winter. 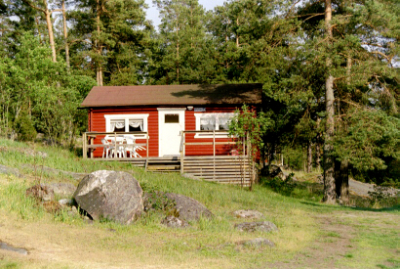 Two service buildings with all facilities you might need, even sauna. 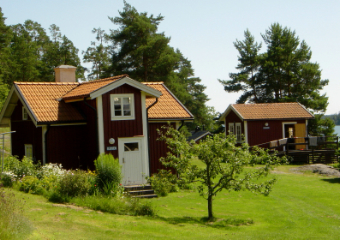 Mons holiday village is perhaps somewhat unusual, with its cottages scattered over the area. They are in varying terrain and have different historical backgrounds. 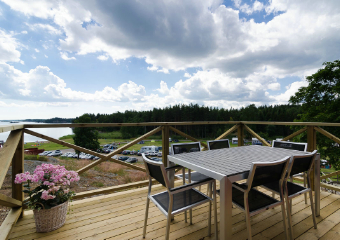 The cottages have camping standard or self-catering standard and are equipped with 2-10 beds.